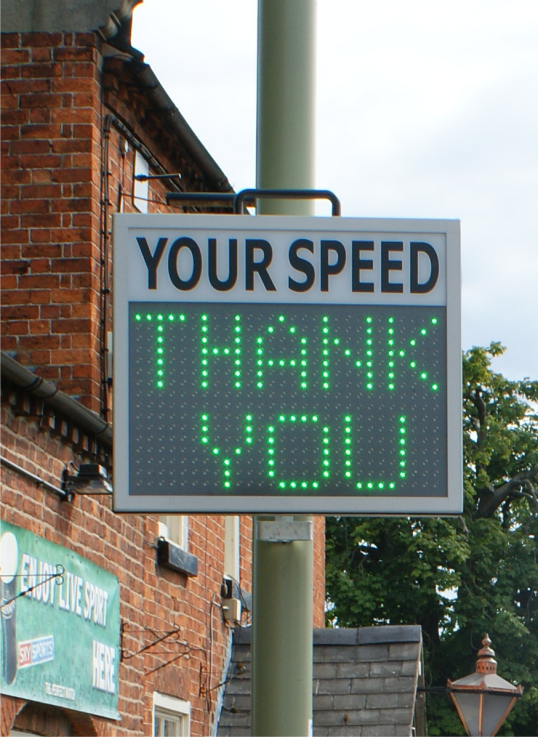 Why did you purchase a Morelock Speed Sign? A survey of all our village residents a few years ago identified speeding as a cause of concern. 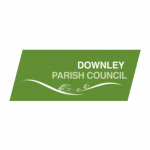 An action group was set up reporting to the Parish Council (PC) to try to address the issues raised by the survey and this group identified that a better device than the existing MVAS unit was required. Budget costs were obtained and subsequently approved by the PC. How difficult was it to find the right solution? The Action Group reviewed other devices in the local area felt obliged to follow the guidance given by the County’s road safety team which e.g. precluded ‘smiley faces’. Some six alternative proposals were sought from various suppliers and these were evaluated and rated. Why did you choose Morelock over the competition? The flexibility of the Morelock units and the ease of user reprogramming seemed to the group to offer real advantages. The ability to e.g. have smiley faces easily available was an attractive one as was the option to use a USB stick for data downloads. The service and painstaking help which the Action Group received from the Morelock representative was a major factor in its decision. 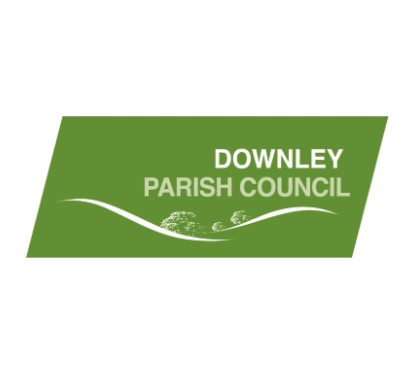 What impact has the radar speed sign made in Downley? The data is being reviewed on a regular basis now which was not the case with the MVAS unit. Some of the speeds recorded are giving rise for concern and it is our intention to raise these with the Police with a view to obtaining support for enforcement measures. How easy do you find it to download data from your sign and use it in a positive way? Data downloads are being done by the Parish Clerk and are understood to be straightforward although it’s not clear if she is obtaining the information by hard wiring in or via Bluetooth. How useful and well-presented is the data? The data seems to be clear although there have been queries raised within the PC about the number of vehicle movements which seem astonishingly high. What has been the community’s reaction the speed signs? Very positive. Residents outside whose houses the devices have been used are being spoken to and they have all been appreciative that the PC is doing something trying to alleviate their concerns around speeding. What comments have you received? Residents see the units and recognise what is being done, so a very visual impact. The group has received comments on the actual locations which have been selected – some positive, some negative. How easy do you find it to move the sign to different locations? The PC has now bought several additional mounting brackets and fitted these at locations agreed with our local PCSO. Moving the units from one to another is therefore much quicker and easier. Do you think the speed sign was good value for money? The purchase price was obviously a factor in the Group’s decision and Morelock’s quotation was a competitive one. Although some additional funding had to be obtained, this allowed the village to buy two units rather than the single unit originally proposed. How do you rate Morelock Signs and the service you have received? See previous comments. We found Jill Taylor to be an excellent ambassador for Morelock because she was extremely attentive and was prepared to visit and demonstrate the unit on more than one occasion. This really helped Morelock to win the order. I think I’m right in saying that the programming of the SID can be done with an Android device. It would remove a potential barrier to purchase if an iPhone app could be available as I suspect many parish councils rely on volunteers to manage their devices and the majority of our volunteers have iPhones not Android ones. Our team at Gade Valley are currently trialling illuminated road signs as an initiative to improve the visibility of traffic management and in particular at works access points. One of the actions from the Connect Plus minimum standards is to improve the visibility to works access points, it is also a topic that is discussed regularly in the Traffic Management Working Group. 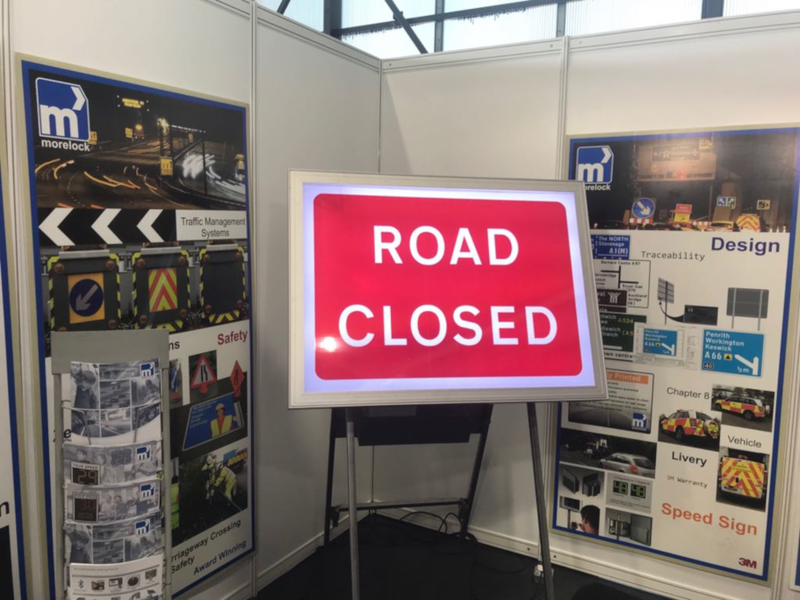 Hence when representatives from Osborne attended “Traffex” this year, they were very interested to see that Morelock Signs had on display an illuminated “Road Closed” sign. 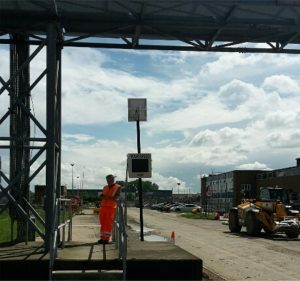 • A standard works access, with Nissan barrier installed at the back of the works access. • A diamond grade works access. • The illuminated works access. • Signs were also installed in lit and unlit areas. 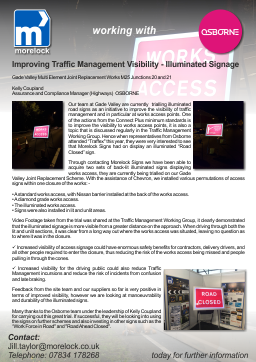 Video Footage taken from the trial was shared at the Traffic Management Working Group, it clearly demonstrated that the illuminated signage is more visible from a greater distance on the approach. 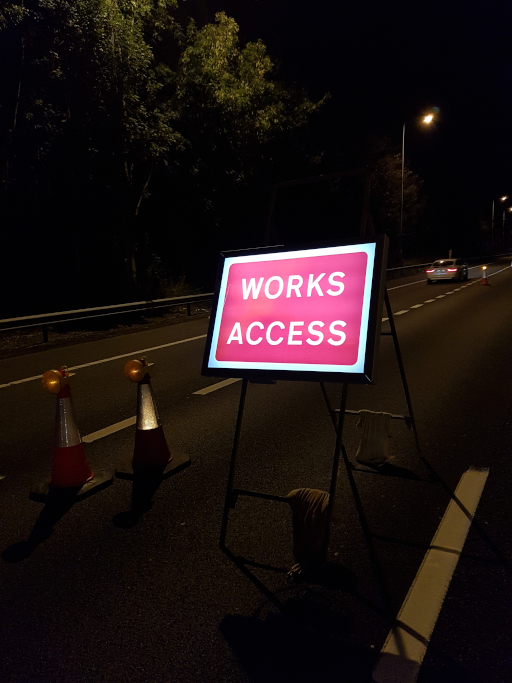 When driving through both the lit and unlit sections, it was clear from a long way out where the works access was situated, leaving no question as to where it was in the closure. – Increased visibility of access signage could have enormous safety benefits for contractors, delivery drivers, and all other people required to enter the closure, thus reducing the risk of the works access being missed and people pulling in through the cones. – Increased visibility for the driving public could also reduce Traffic Management incursions and reduce the risk of incidents from confusion and late braking. Feedback from the site team and our suppliers so far is very positive in terms of improved visibility, however we are looking at manoeuvrability and durability of the illuminated signs. 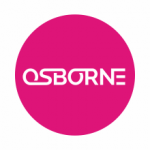 Many thanks to the Osborne team under the leadership of Kelly Coupland for carrying out this great trial. If successful, they will be looking into using the signs on further schemes and also investing in other signs such as the “Work Force in Road” and “Road Ahead Closed”. 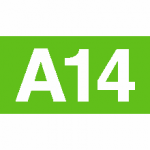 The A14 Cambridge to Huntingdon improvement scheme covers a long and congested section of the A14 dual carriageway and is currently going through major works as part of Highways England’s proposals to relieve traffic congestion, connect communities and enhance national economic growth. 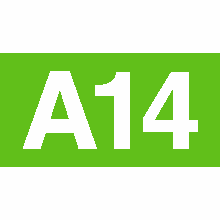 With the route at capacity, almost 85,000 vehicles use this stretch of the A14 every day with up to 21,000 being heavy goods vehicles. Since the start of the project and the installation of narrow lanes a temporary posted speed limit of 40mph was imposed. It became apparent that not all drivers were adhering to the speed limit especially during the evenings. 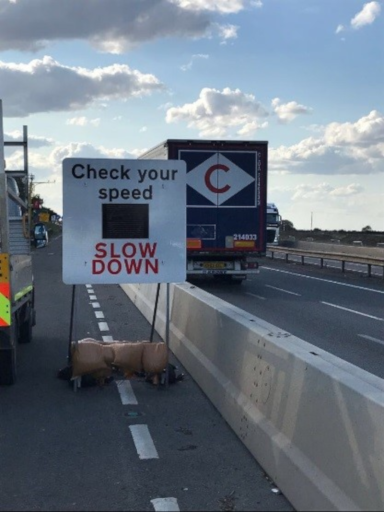 Unfortunately, drivers felt they could exceed the 40mph limit through the enforcement cameras which evidently caused a rise in the amount of speeding offences issued and safety of road workers was being compromised. 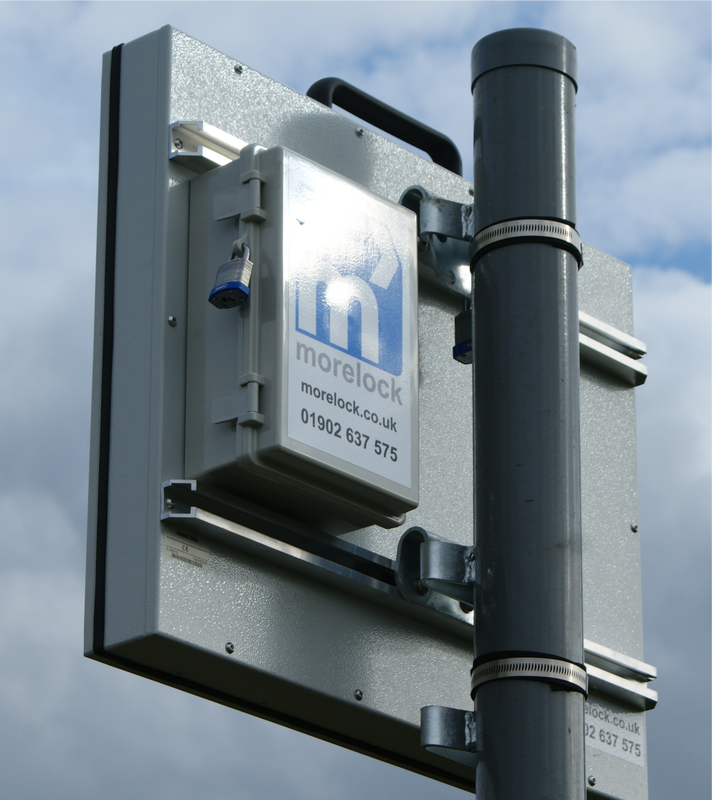 Working together with the Traffic Management team supported by Highways England, Morelock delivered a new solution with radar speed sign technology implemented in traffic management for the first time. The introduction of the new LED speed indicating devices in construction work zones will protect the lives of road workers and encourage drivers travelling through to slow down. Radar speed sign technology is a successful technique being used for traffic calming efforts. 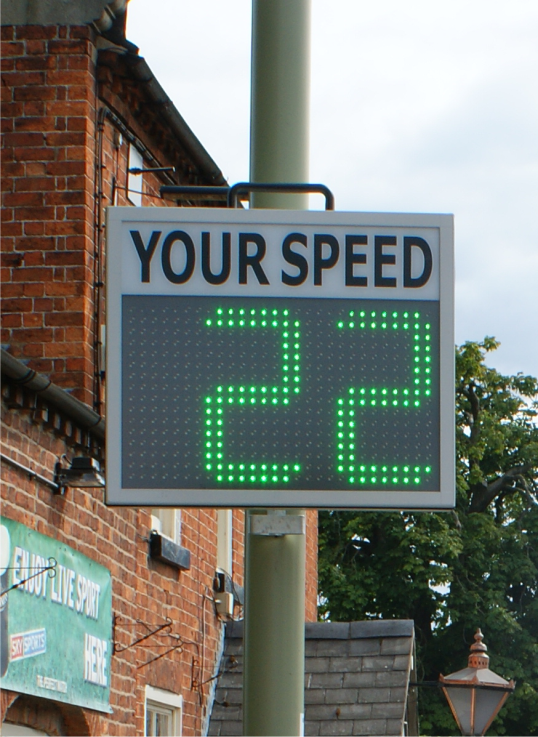 These signs are proven to help reduce drivers’ speeds in both the short and long term. Morelock’s radar speed signs equipped with software that capture driver speed and relevant traffic data have been deployed in a host of applications from small communities to larger industrial sites and in partnership with the police force to tackle speeding by educating and changing driver behaviour. As a result of this collaboration, a bespoke sign was designed and manufactured. The signs are easily mounted on Quick fit frames widely used in temporary traffic management which can be deployed safely and quickly behind barriers alongside the carriageway. The set of signs are positioned before the enforcement cameras and are programmed to activate only when a driver exceeds 42mph. Once the sign is activated a red sad face is displayed using the flashing LEDs. This will raise driver’s awareness and send a clear message prompting the driver to slow down, thus reducing the number of speeding violations and enhancing safety. 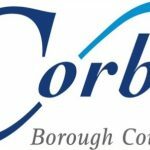 The data on the number of speeding violations and tickets enforced was released from Bedfordshire Constabulary. 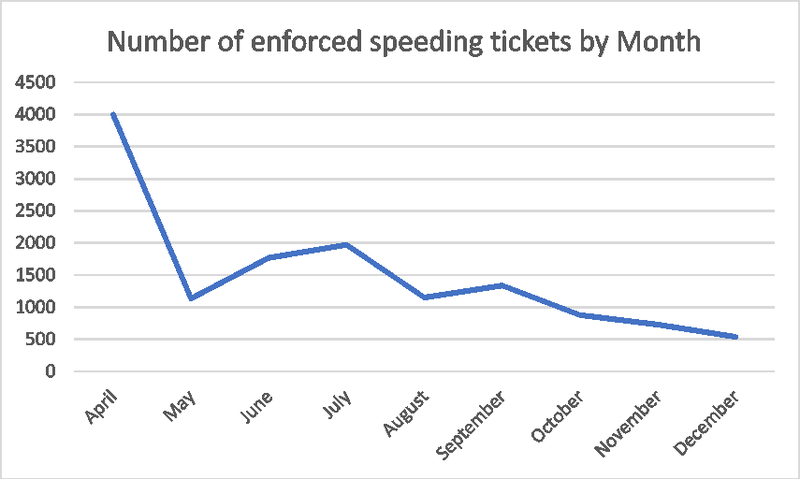 April 2017 was a staggering 3999 speeding tickets issued. 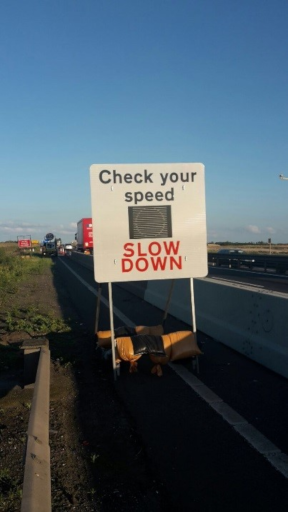 The Morelock Radar Speed Signs where deployed onto the A14 roadworks on the 12th July and there has been a clear decrease in violations since they have been in operation, with a significant drop of 86%, December data found 536 enforced speeding tickets. 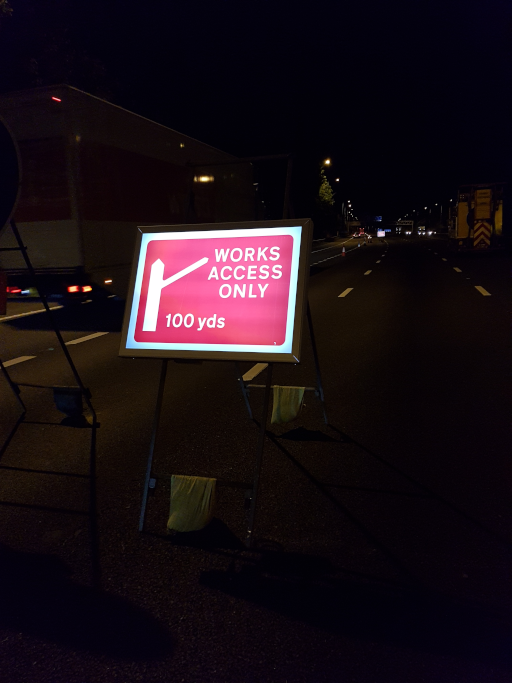 We approached Morelock with speeding issues we were experiencing on the A14 through the works, figures had increased to above 1100 per month and predominantly at night. We took a collaborative approach with Morelock to tackle the issues and worked together to find a solution. After a couple of visits to site we had decided upon the bespoke faceplate and quick fit frame and when and how the sign would activate. 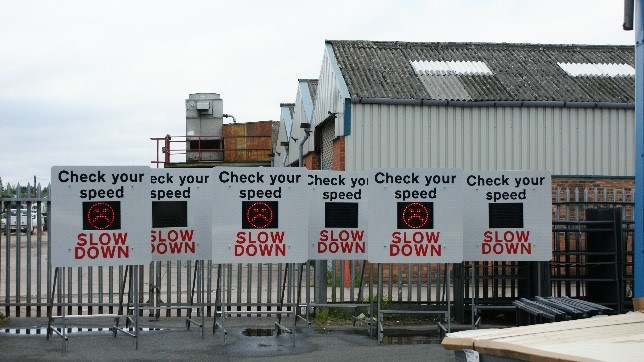 Once agreed and approved, we purchased 6 radar speed signs which included further site visits from Jill for full training. 2 x signs to control the speed of the 60 tonne + dumpers on the bailey bridge. Due to the weight they are carrying the speed was crucial for the stability of the bridge. 2 x signs for community speed watch -these are being used at the moment to support local parishes to determine if they have a perceived speeding issue or not. 1 x sign with 3 bespoke face plates to combat speeding on various zones on site. Morelock and Jill have tackled our problem head on and worked above and beyond with us to get these signs into operation, the after sales care is the best service I’ve received in 16+ years of TM.Well done Jill and well done to the Morelock Team . Deephams Sewage Treatment Works (STW), located in the London borough of Enfield near Picketts Lock in Edmonton, the venture is to develop an improved sewage treatment process, while continuing to treat the 209,000 tonnes of sewage that arrives at the works each day. This can increase to over 1.3 million tonnes during heavy rainfall – enough to fill 520 Olympic swimming pools. Deephams has a site speed limit of 10mph. Traffic increased significantly due to ongoing construction work being carried out, with more traffic on site and vehicles exceeding the posted limit, speeding became a concern. The implementation of the GR33CL Solar Powered Speed Feedback Sign is continuing to have a very positive effect in changing driver behaviour and reducing speed. 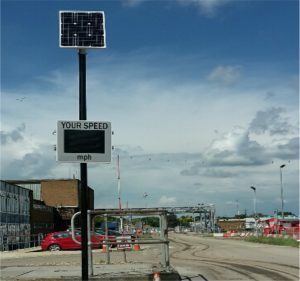 Would you agree that your purchase of the 2 Solar powered GR33CL Speed Feedback Signs have made a positive impact on your site and are helping to reduce speeds driven? Is the data that you have downloaded clear and concise enough? Does it give you all the results you need? Do you find the Speed Feedback Signs easy to rotate around your site? How have you found the solar power? Are you happy with your purchase, do you think it was funds well spent? How would you rate Morelock Signs Ltd along with the service you have received prior and after your purchase? We pride ourselves at Morelock Signs for having long-serving personnel across all departments who have become an integral part of our operation over the years. We recognise the service they put in and honour their commitment . The collective years of experience enhances our overall offering to our customers. 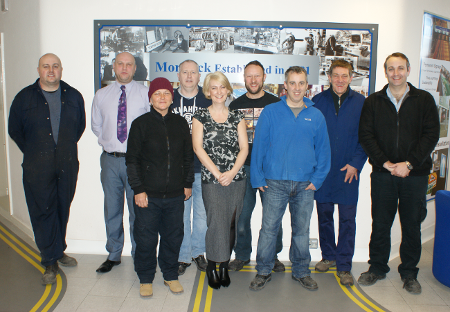 The following members of our team have completed 15, 20 and 25 years of service in 2015. 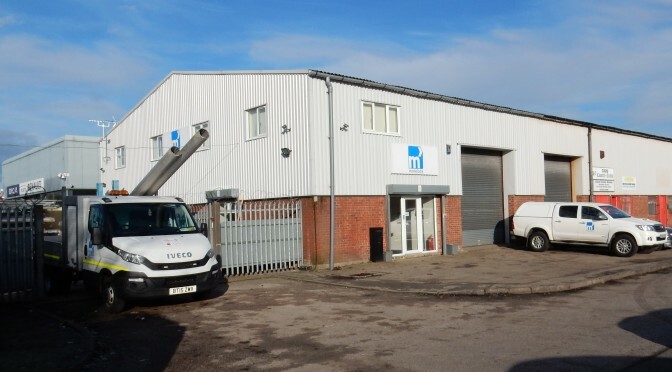 We realise the high demands when it comes to signage and are committed to expansion and investment in the latest technology in order to more than match these demands. Our latest expansion in digital print technology with the Oce and Zund allows us to significantly increase production capacity, reduce timescales and improve quality. Our aim is to ensure our customers receive the best quality of service with our new range of commercial products. We would welcome you to come and visit us for a factory tour in order to discuss your signage and graphics requirements.